Hyderabad, the ‘City of Pearls’, ushers a large number of tourists all through the year. OYO Apartments Kavuri Hills Inorbit Mall Road offers the desired luxury and grandeur at affordable rates. During your tour here, you can also visit the nearby tourist spots like Durgam Cheruvu (850 m), Shilparamam (4.3 km) and Golconda Fort (9.5 km). The best time to visit Hyderabad is between October and February. The 24 hour helpdesk is there to assist you with fax & photocopier, tour assistance for further travel along with wake up service on request. Safety measures include fire safety, first aid, CCTV surveillance cameras and round the clock security. 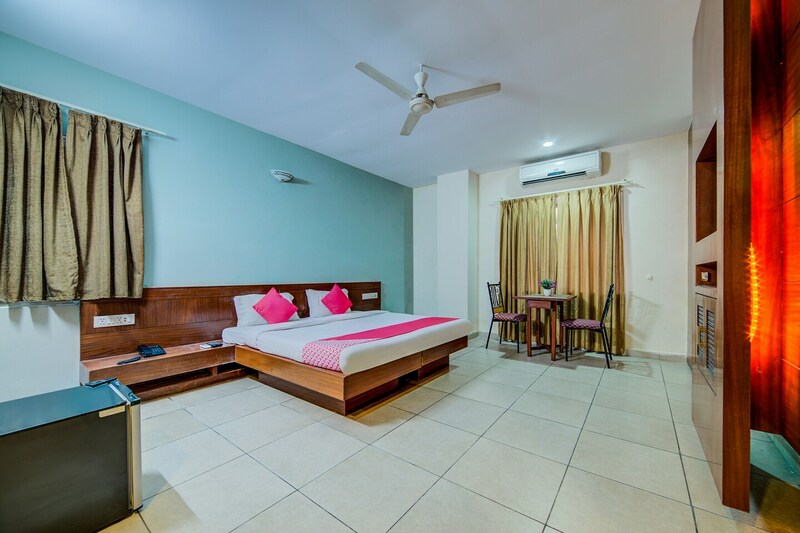 Other provisions include dry cleaning/laundry service, cloak room, lobby outside rooms and power back up.Some of the quick getaway destinations from Hyderabad include Warangal, Kurnool and Bangalore.